Attorney General Jeff Sessions speaks at a news conference after touring the U.S.-Mexico border on April 11. The Justice Department is warning so-called “sanctuary cities” that they must prove they are complying with federal immigration laws or risk funding. The U.S. Justice Department has escalated its approach to so-called “sanctuary cities,” writing at least eight jurisdictions Friday to put them on notice they could be failing to cooperate with immigration authorities. Alan Hanson, the acting assistant attorney general for the Justice Department’s grant-making arm, warned the cities that they’re required to submit proof they comply with federal immigration law. “Failure to comply with this condition could result in the withholding of grant funds, suspension or termination of the grant, ineligibility for future … grants, or other action, as appropriate,” Hanson wrote. The places receiving the letters include: Chicago, New Orleans, Philadelphia, Las Vegas, Miami, Milwaukee, New York and Sacramento. Attorney General Jeff Sessions has adopted a hard line on immigration, dating to his time in the U.S. Senate. Sessions links immigration to a variety of social problems, including what he calls a rise in crime. While murders and other violence are on the rise in some major cities, most scholars have concluded that crime remains near historic lows, and that immigrants commit fewer crimes than U.S.-born citizens. 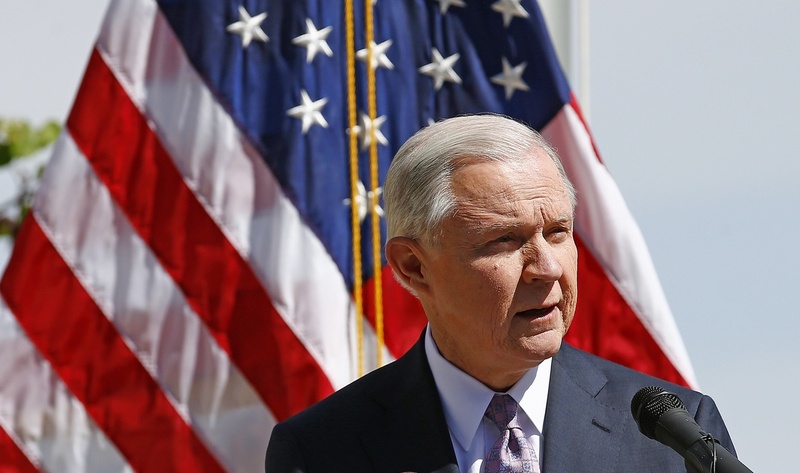 Earlier this week, Justice Department veterans warned that a tough approach to jurisdictions that refuse to follow federal immigration and marijuana laws could hurt community partnerships.